It is the general policy of the Highway District to maintain highways under its jurisdiction in the safest condition possible during the winter months, depending upon its budget, manpower, and equipment. The adequacy of this policy is dependent upon variables not within the control of the Highway District, such as weather conditions and the capabilities of the traveling public, who must prepare for winter driving through prudent operating practices, use of winter tires or chains, and adequate vehicle maintenance. Snow plow operations will generally begin when at least two (2) inches of snow has accumulated on the travel lanes and it is projected to continue snowing or to melt and refreeze, or drifting snow creates problems with travel. To avoid blocking driveways with plowed snow, snow removal will not be done on local roads within subdivisions until three (3) inches of snow has accumulated on the travel lanes. In the event that the severity or frequency of storms prohibits snow plow operations on Fourth Priority Roads within 48 hours of the accumulation threshold, the Maintenance Superintendent shall seek outside public pr private assistance to address this need until such time that District resources become available. Sanding will begin when at least one half (1/2) inch of snow has accumulated on the travel lanes and it is projected to continue snowing or to melt and refreeze. 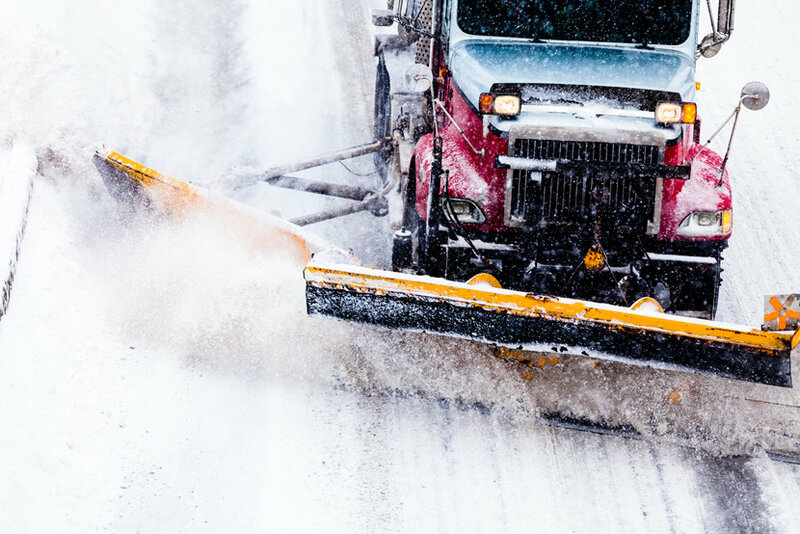 It is not standard policy to sand straight stretches of highway or local roads within subdivisions, except spot sanding when unexpected slick or ice conditions occur as determined by the Maintenance Superintendent and available resources. Road salt may be applied to steep roadway grades, bridges, and higher-volume intersections to reduce snow accumulation or ice on the roadways during snow storms or when icing conditions occur.